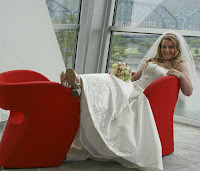 The Chattanooga Hunter Museum could not have been a better place for a bridal session! Wow, I'd never been there before and I could have stayed for hours... I'll have more from the wedding in June.